The use of code quality control platforms for analysing source code is increasingly gaining attention in the developer community. These platforms are prepared to parse and check source code written in a variety of general-purpose programming languages. 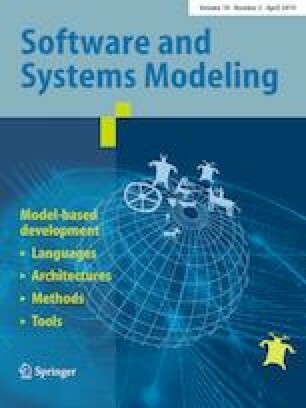 The emergence of domain-specific languages enables professionals from different areas to develop and describe problem solutions in their disciplines. Thus, source code quality analysis methods and tools can also be applied to software artefacts developed with a domain-specific language. To evaluate the quality of domain-specific language code, every software component required by the quality platform to parse and query the source code must be developed. This becomes a time-consuming and error-prone task, for which this paper describes a model-driven interoperability strategy that bridges the gap between the grammar formats of source code quality parsers and domain-specific text languages. This approach has been tested on the most widespread platforms for designing text-based languages and source code analysis. This interoperability approach has been evaluated on a number of specific contexts in different domain areas. Communicated by Prof. Tony Clark. This work has been developed in the VISAIGLE project, funded by the Spanish National Research Agency (AEI) with ERDF funds under grant ref. TIN2017-85797-R.